Developing countries especially those in sub-Saharan Africa face a major challenge in meteorological prediction and numerical assessment of wind and solar resources. This is mainly attributed to lack of expertise and requisite equipment. A proven approach is the utilization of remote grid computing essentially undertaking grid computing remotely by accessing the grid computers in host countries with more advanced Information Technology infrastructure. This chapter details the utilisation of a Numerical Mesoscale model with a horizontal resolution of 1 km in assessing wind resources in Kenya. The presented country in Sub-Saharan Africa uses a large-scale High-Performance Computer (HPC) that combines heterogeneous computing resources in Germany. The same model can be used for assessment of solar resources. 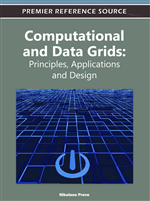 The D-Grid Initiative (German Grid Initiative) (Neuroth, Kerzel, & Gentzsch, 2007) provides a grid computing infrastructure that helps in establishing the concept of e-Science in three main areas, namely Grid computing, Knowledge management and e-Learning. Started in September, 2005, the initiative consists of the following 6 community projects, an integration project and several Partner projects as shown in Table 1. The D-Grid Integration project essentially seeks to be the grid resource and service provider for the science community in Germany. Thus it deals with D-Grid base software, deployment and operation of the D-Grid infrastructure, networks and security and lastly manages the D-Grid project office. It thus manages all the developments from different community projects in one common D-Grid Platform. Of particular interest to the development of renewable energies in Sub-Saharan Africa is the WISENT project. This e-Science project investigates the influence of weather and climate on transformation, transport and utilisation of Energy. It integrates the cooperation of scientific organizations that use grid technologies in the field of energy meteorology. WISENT (Wissensnetz Energiemeteorologie) utilizes grid resources to develop forecast methods capable of determining the level of power generation in near real-time in order to control power plants for optimal energy production. This helps ameliorate the challenge of determination of the availability of renewable energy sources like wind and solar, due to their fluctuations as a result of meteorological factors. The main project partners in this project are the German Aerospace Centre (DLR), University of Oldenburg, OFFIS, and Meteocontrol GmBH. Their expertise and roles in the WISENT project is shown in Figure 1. The need for grid computing in energy meteorology is to help overcome the challenges like accessing distributed data, exchanging large heterogeneous data sets, archiving data and speeding up applications. The grid allows running of more complex models and large data set processing, hence improving forecast methods and optimal micrositing of power plants. In a bid to enhance the use of simulation models for purposes of improving forecast methods and optimal micrositing of power plants, the WISENT project received from the D-GRID, grid middleware (Globus Toolkit, UNICORE, gLite, etc) which were installed and configured in a High-Performance Computing Cluster (HPCC). The aim was to allow the utilisation of resources within the D-GRID infrastructure. In the year 2008, the cluster system was expanded further with other Master nodes as well as implementation of a RAID-System. Additionally a Mesoscale Model, the Weather Research and Forecasting (WRF) model was installed. This model is the one to be used in simulations of solar and wind resources.